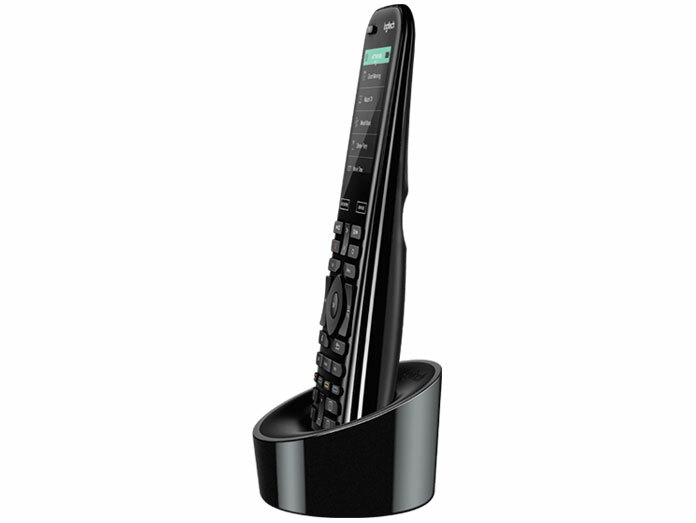 When technology becomes complex, the Harmony Elite remote control simplifies it. Control every one of your home entertainment and smart home devices with one remote. 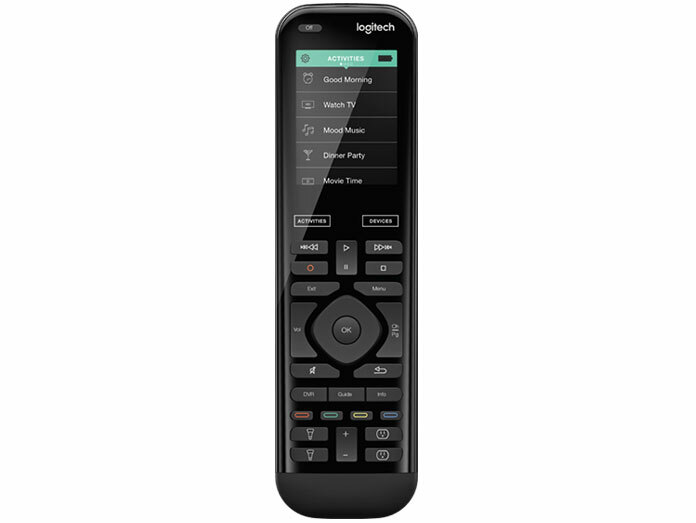 A sleek design that features a color touchscreen and motion-sensing backlit keys with one-touch automation makes this remote enjoyable to use. The Harmony Elite remote even allows control through closed cabinets or walls for complete flexibility. The remote also works with Alexa voice control for simple and easy use from anywhere in your home. 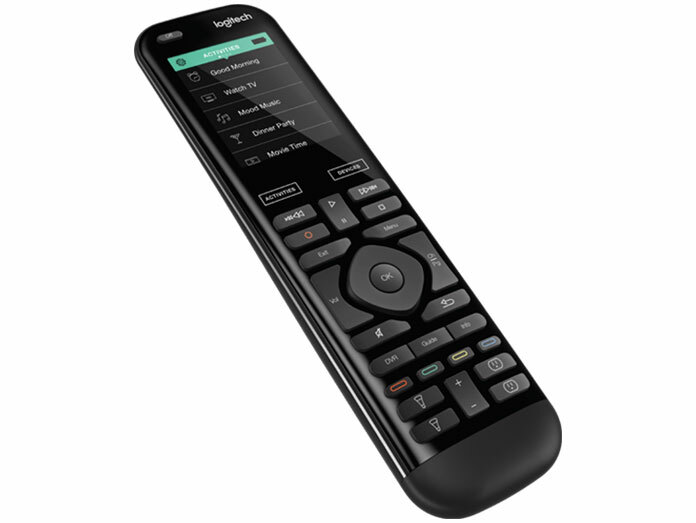 Make life simple with the Harmony Elite remote control by Logitech. 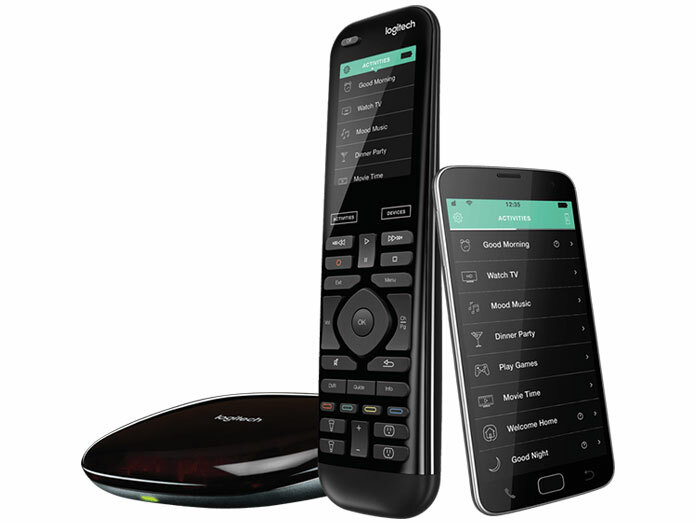 This remote is compatible with over 270,000 entertainment and smart home devices. 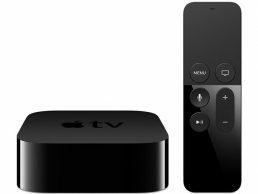 Enjoy smooth control of your TV, cable and gaming console, AV receiver, media player, smart appliances, locks, thermostats, and even Alexa and Google Home. 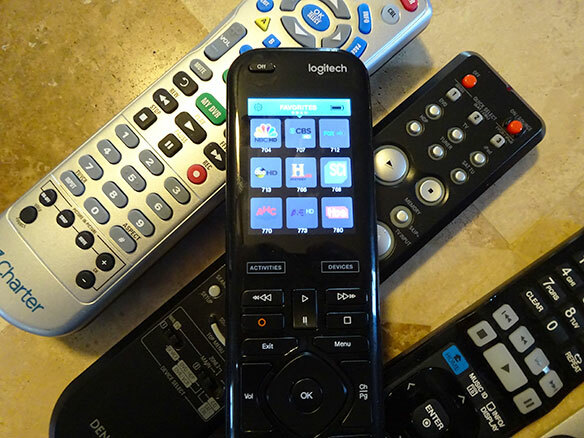 The Harmony Elite remote works like magic to eliminate the need for cables, receivers, and multiple controllers. 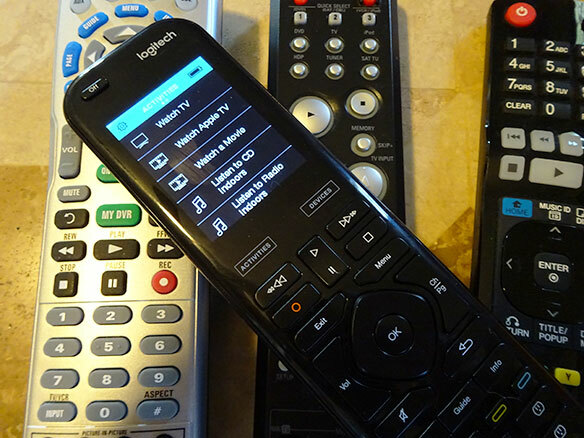 Once you’ve begun using it, you’ll wonder how you ever functioned without this remote! One-Touch Actions — Switch between your Apple TV, gaming, and just about any of your other devices. Custom Activities — Group devices into custom configurations for one-touch or time-triggered activities. Universal Control — Control all your devices through one remote. Complete Control — Activate any device from anywhere. Easy Setup — It’s simple to set up the remote. Just download the Harmony App and auto-scan for devices. Alexa Voice Control — Use Amazon Alexa for voice control. Give commands to your TV and other devices. Harmony Hub — Harmony Hub allows you to control all your devices with IR, Wi-Fi, or Bluetooth wireless signals. No dealing with cables or receivers! Compatible with over 270,000 devices. Easily control myriad entertainment components and home automation devices. Control devices even through closed cabinets and walls. Control devices throughout your home and while away from home. Works seamlessly with Alexa and Google Home. Voice control entertainment and smart home devices via Alexa or Google Assistant. Includes a rechargeable battery pack with charging station. Easy online setup for PC and Mac computers. Compatible with Windows 7, 8 or 10 or Mac OS X 10.7 or later with an Intel processor. Mobile setup via most Wi-Fi- or Bluetooth-enabled devices with an Android 4.2 Jelly Bean or later operating system. Also supports mobile setup via a Bluetooth-enabled iPhone 4S or later, iPad 3rd generation or later, or iPad mini with an iOS 8.0 or later operating system. 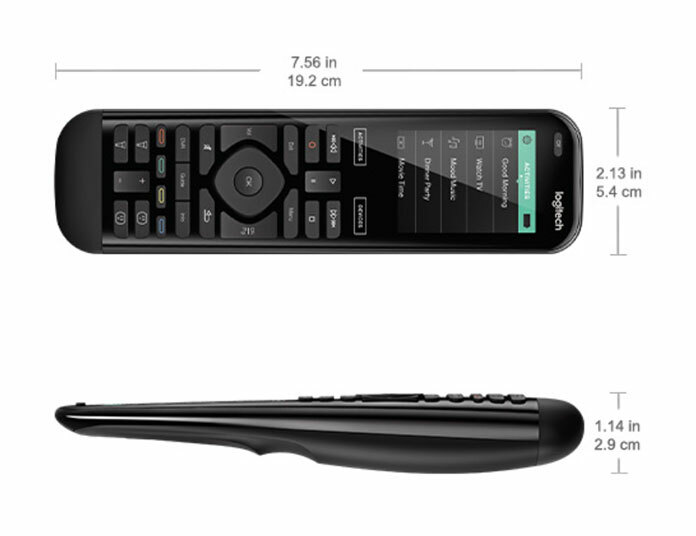 Dimensions of the Harmony Elite remote. 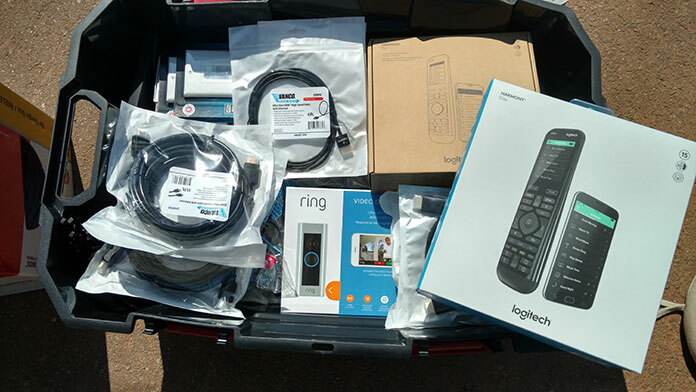 Included: Harmony Elite remote, rechargeable battery, Harmony hub, 2 IR mini-blasters, charging station, USB cable, 2 AC adapters and user documentation. 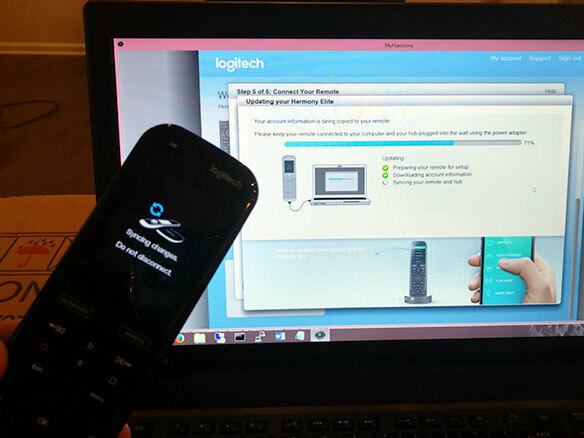 Pictures we have taken while installing Harmony Elite remotes locally in Greenville, SC. We always have Harmony remotes with us in the mobile goodie box. If you live in the Greenville, SC area, we can program it for you. Call: (864) 881-1675. Awesome remote! One of our best selling items. I personally have one of these remotes. Through the years of selling and installing these remotes, we’ve found all ages like them. Easy to use, favorite channels, 1 button activities and RF ( Radio Frequency). This remote controls your home theater equipment even when it hidden in a cabinet or behind the TV. 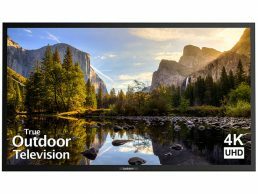 Harmony Elites make watching TV easy!